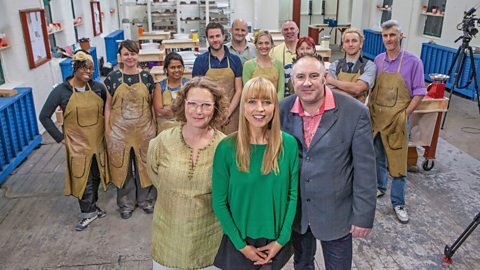 This week marks to start of the BBC’s Great British Pottery Throw Down, and from the pottery community there has been a mixed response as expected. Personally I am feeling more upbeat about the program. I have decided to make video responses to the episodes as they are released, this is the first of two videos that I will put out for the first episode. 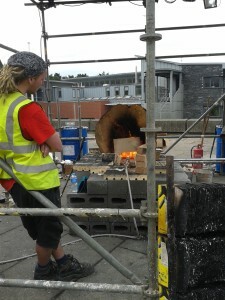 I feel there is a real opportunity for learning that we as potters can offer from this show, we have been given this and we shouldn’t waste it. 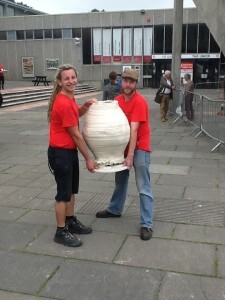 Here are some photographs of Matt Wilcock, who I first met at the International Ceramics Festival in 2013. Though I have known his dad for nine years as he was the ceramics technician at my University and taught me throwing and hand building. I would not be a maker if it weren’t for Matt’s Dad. I also created a Pinterest board inspired by the Pottery Throw Down. It will grow daily as I add more bits inspired by each episode, so make sure you subscribe to that too. Look out for more video responses in the following weeks. If you have any question please ask below and I will create a video answering your question. This entry was posted in Film, Learning and tagged ceramics, clay, film, film making, Matt Wilcock, pottery, Pottery Throw Down, Throw Down, youtube. Bookmark the permalink.